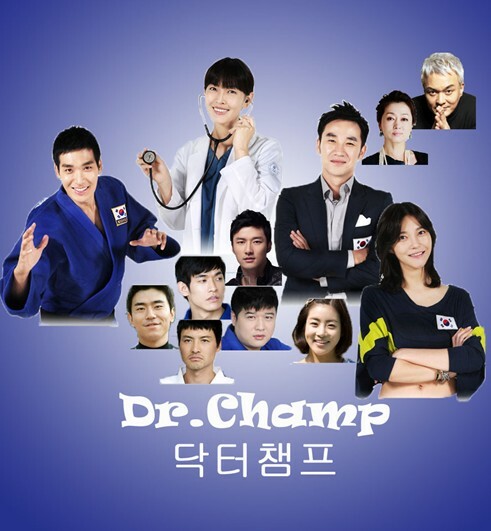 Kim Yeon Woo is an orthopedic doctor who takes up a new post at Taereung National Village, the training center for national Olympic athletes, after she is fired from her previous job. She becomes romantically involved with Park Ji Heon, a young judo athlete, and Lee Do Wook, the short-tempered, crippled director of the facility who is still haunted by the injury that had cut short his speed-skating career. This is further complicated by the presence of the swimming coach, Hee Young, who becomes her rival for the attentions of Do Wook. The drama about a man trying to achieve what is thought to be impossible: fulfilling his dreams of being a great soccer player. Lee Jang Suk spent some time in a juvenile detention center for stealing wallets from unsuspecting strangers. After he gets out, he meets a sports agent, Nam Jae Il, who helps him achieve his dreams of becoming a top boxer. Hye-seong Oh (Tae-yeong Yun), who excelled at skipping rocks as a child, loved Eom-ji Choi (Min-jung Kim). As childhood friends Eom-ji Choi made Hye-seong's life warm. Ten years later Hye-seong Oh has become a baseball player and meets Eom-ji again. She is in a relationship with another childhood friend Dong-tak Ma (Seong-min Park). One day, Hye-seong hides his injury as a pitcher and throws a perfect game. After that performance he disappears. Several years later, Hye-seong shows up with other baseball players who have sad stories and are thought of as cast-offs. They are known as "Kyong-pyoii Woeinjudan".